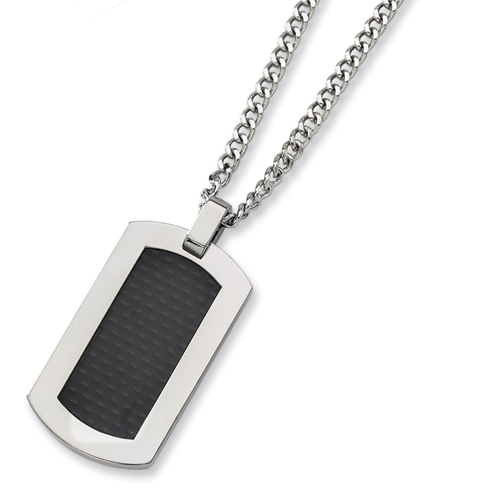 Titanium dog tag and black carbon fiber necklace. Free 24-inch stainless steel bead chain. Fancy lobster clasp. Approximate weight: 37.2 grams. Imported.